The Visitor Centre was opened on St Andrews Day 2014 by the Wemyss family owners and the founder, local man Douglas Clement. Distilling started in January 2015, with the first cask filled in March that year. Scotch whisky has to mature for at least 3 years before it can be bottled, so Kingsbarns Single Malt Whisky won't be available until later in 2018. Membership is priced at £500 plus shipping charges, ranging from UK at £40, Europe at £90, USA at £160 and other selected parts of the world at £300. Membership can be purchased in one payment or now spread over 12 months for an additional £20 administration charge. 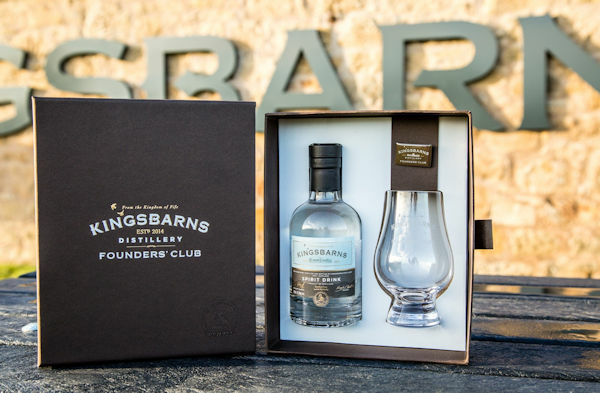 Full details are available on the Kingsbarns Distillery website or in the Visitor Centre.